I remember this one! The Cue-Cat. 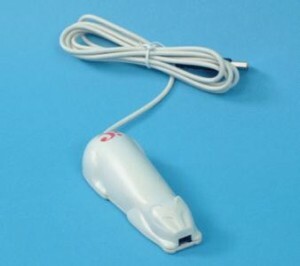 For some reason, you would plug this little scanner thing into your computer, it would scan some bar code in a magazine ad, and automatically send you to their site. As opposed to, say, just typing in the URL. Get 49 other terrific gadgets here.